Medium purple color; redcurrant, raspberry on the nose; red plum, tobacco, vanilla, raspberry on the palate. 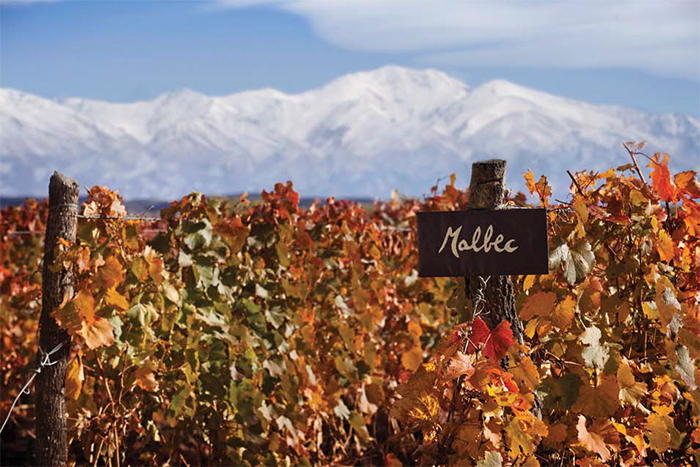 Dry; some tannic bite that benefits from decanting, creating the softer attack you expect from Argentinian malbec. This is taut, crisp, linear, somewhat raw from attack to finish with a dose of redcurrant tang and minerality. Half of the juice spent time in oak, the other half in stainless. Generic malbec with more in common with generic cab than merlot; malbec usually lands between those two experiences. Commodity malbec—600,000 cases made—that can work as second or third bottle later in the evening, but not so much as the highlight pour with the meal. Trivento means “three winds”—Zonda, Sudestada, and Polar. Zonda winds are dry and frequently carry dust and can blow at 25 m.p.h. While Zonda is hot and dry in the lower regions, it is the main snow producer in the higher elevations of the Andes; the winds occur between May and November, fall through and spring seasons in Argentina. The Sudesta winds blow from the southeast; they also are dry but usually bring rain between July and October—late winter and early spring in Argentina. Polar—or Pampero—winds are blasts of cold air, often taking form as squall lines. They bring a noticeable drop in temperature and are most common in winter—May through August—but they also occur in summer (July-August-September), bringing welcome relief for periods of high humidity and extreme heat. 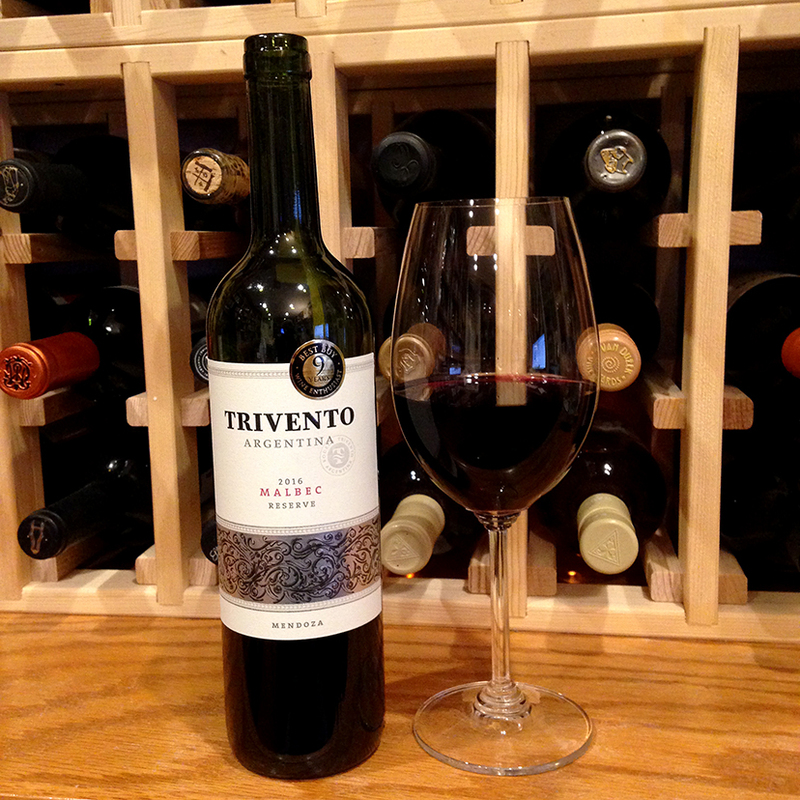 Trivento vineyards cover more than 3,750 acres and eight vineyards in the Mendoza region of northwest Argentina. 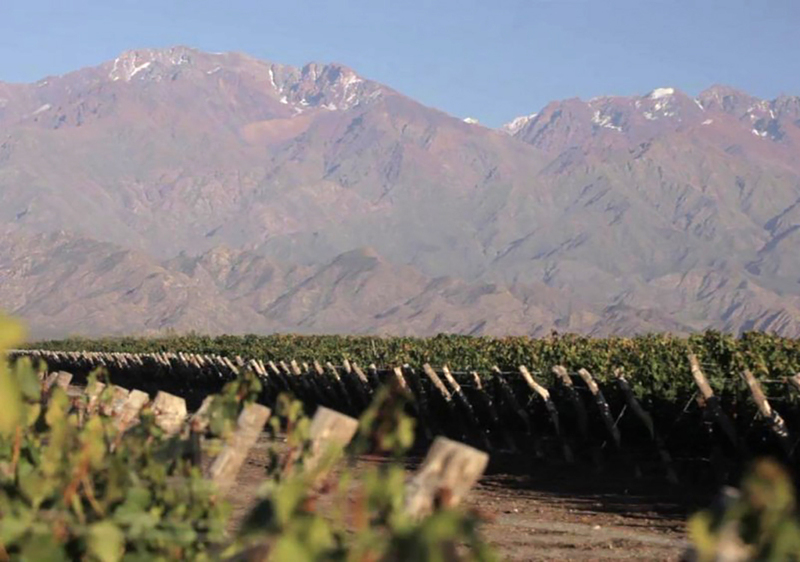 All the vineyards use drip irrigation systems—Mendoza is high dessert with less than eight inches of annual rainfall. Water comes the snow-capped Andes immediately to the west. 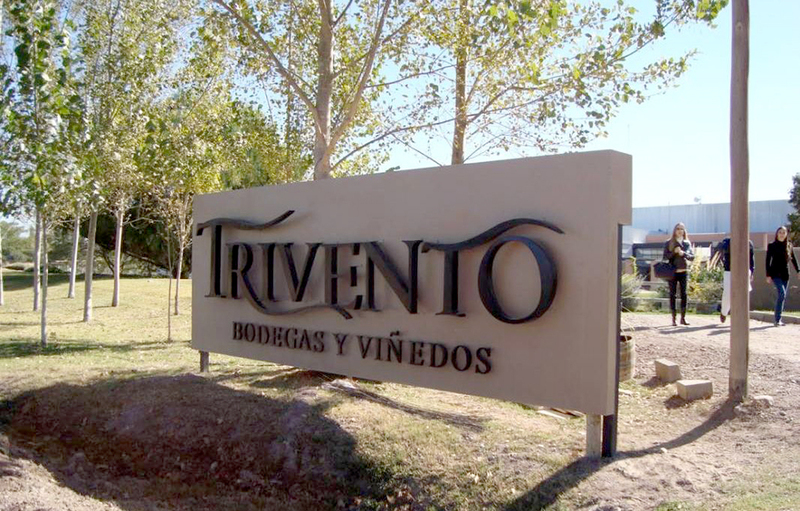 Trivento is the Argentinean property of Chilean wine powerhouse Concha y Toro, Latin America’s leading wine maker. 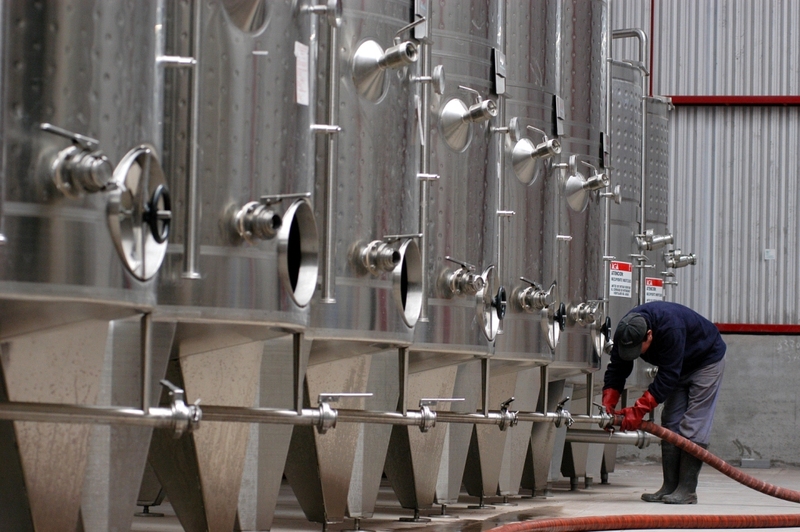 Founded in 1883, Concha y Toro produces wines at every price point, employs more than 3,000 people, and headquarters in Santiago, Chile. Concha y Toro exports to 135 countries. 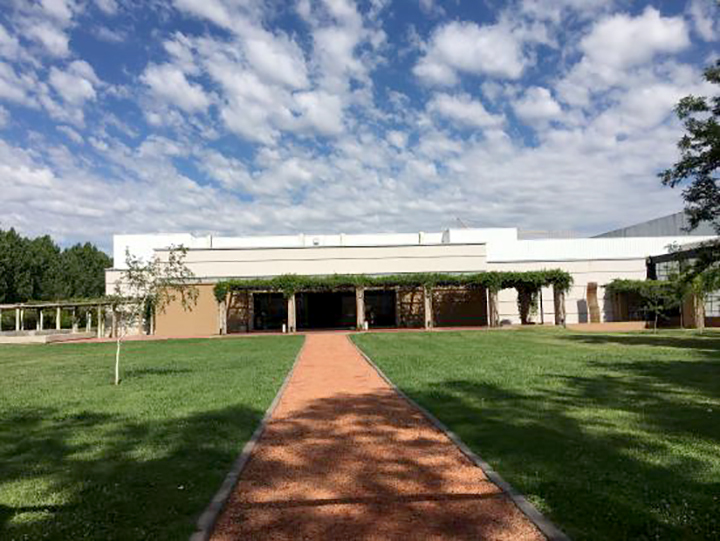 Excelsior Wines is a sales and marketing venture of Concha y Toro and Banfi Vintners in the United States, revolutionizing the way brands are brought to the U.S. market. They also sell and market California wines Little Black Dress and Five Rivers. 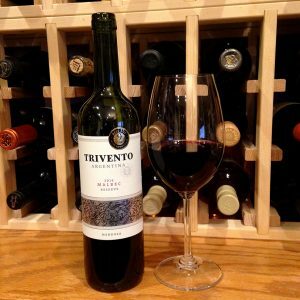 Trivento proudly proclaims it is “The Official Wine of Major League Soccer” in the United States beginning in January, 2018. Argentineans are soccer crazy, but the likely U.S. marketing move is motivated by surveys showing MLS indexes higher for wine purchases than those of any other major U.S. professional sport.